Lee paints landscapes people feel they can walk right into. Her love of nature began when she was a young girl while walking in the woods with her grandparents. Those experiences have inspired Lee to focus on studio and plein air landscape painting. She is a distinguished pastelist in Pastel Society of New Mexico, and a master signature member of Plein Air Painters of New Mexico, and a signature member of Pastel Society of America, Plein Air Artists of Colorado, Pastel Painter’s Society of Cape Cod, and Sierra Pastel Society. In 2016, Lee was featured as an Artist to Watch in the September issue of Southwest Art magazine and named as a “Local Treasure” by the Albuquerque Art Business Association. Her pastels have been featured in full-length articles in the magazines Pastel Journal, American Artist, and International Artist. Lee and her painting were featured in the article Is There Such a Thing as Work/Life Balance? in Professional Artist magazine. Her work has also been featured in the books 100 Ways to Paint the Landscape and Plein Air New Mexico. Her work has been in numerous juried national shows and has garnered awards at local and national levels. Her pastels won an honorable mention in Pastel Journal magazine’s Pastel 100 competition in 2012 and her work was a finalist in The Artist Magazine’s competition in 2010. For many years, Lee taught elementary and middle school art and adult pastel classes in central New York State. Now a resident of Albuquerque, NM, Lee paints, often “en plein air” and also teaches pastel classes at The Artist Studio in Albuquerque. Lee was one of the founding members of Plein Air Painters of New Mexico and served as its secretary for the first 3 years. 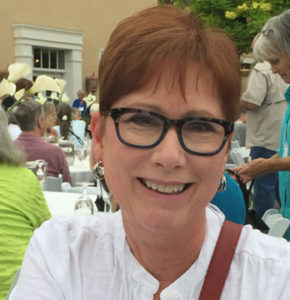 She was a juror for the 2015 Plein Air Santa Fe Event sponsored by Plein Air Painters of New Mexico. She has been invited to show in the Panhandle Plains Historical Museum in Texas for 4 years and in Pastels by Invitation in Cape Cod for 6 years. You can see Lee’s work at Purple Sage Gallery in Old Town Albuquerque and on her website www.leemcvey.com, where she also writes a blog, Painting the Landscape.